WASHINGTON—Confirming that the federal government was taking swift action to help those suffering in California, FEMA officials assured wildfire victims Monday that a bucket brigade is nearly over the Maryland state line. 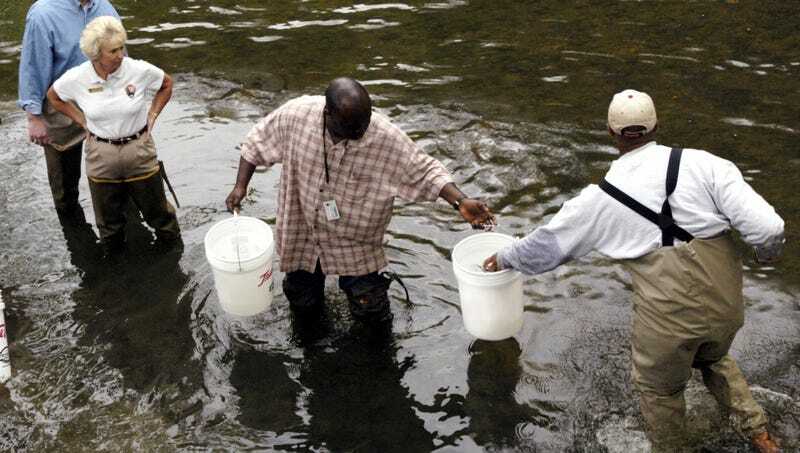 “The FEMA emergency response team is currently standing shoulder to shoulder in a line stretching from the Potomac up through Hagerstown and west almost all the way to Cumberland passing forward buckets of water en route to the Pacific coast,” said Federal Emergency Management Agency administrator Brock Long, who refused to acknowledge rumors that workers do not have enough buckets and that the buckets provided are riddled with holes or missing handles. “We are facing major logistical concerns, including how we plan to cross the Mississippi River and whether we can pass through the Rockies without spilling a bunch. Water buckets should be there by early February, so I urge everyone affected by the blaze to hang tight. In the meantime, we recommend blowing really hard to extinguish the blaze, much like you would a birthday candle.” At press time, FEMA had halted bucket brigade operations after failing to find enough rescue volunteers willing to stand around Nebraska.